Holiday Residence is located 50 m from the sandy and gravel beach. 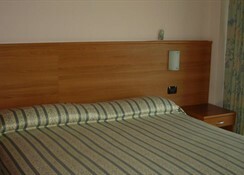 The closest city to the hotel is Desenzano Del Garda (6 km). Other cities: Brescia (39 km), Verona (34 km). 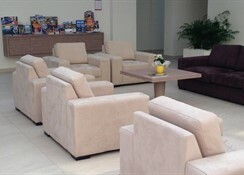 To make your stay more comfortable a reception, air conditioning and a lobby are available. The staff in this 2 storey hotel speaks English, Italian and German. A fresh water swimming pool, seasonally open with a separate children's pool is available. Sunshades and sunbeds are available free of charge at the pool. 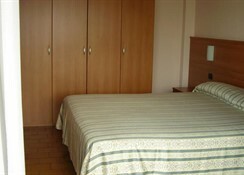 The hotel is within easy reach of markets, bus stops, bars and restaurants and city centre. 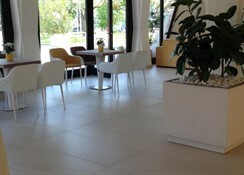 Accessible from the hotel: airport (170 km), Parco Natura Viva- Zoo Safari (22 km), Gardaland (10 km), Parco Sigurtà (21 km), Caneva World (15 km) and train station (7 km). Vehicles may be parked in the parking lot. Amenities: Reception hours: 24h Service. Sport and Leisure: Golfers have the opportunity to play at the nearest golf course which is 13 km from the hotel. 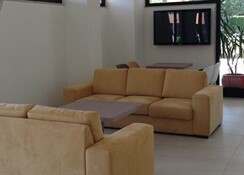 Additional Information: Payment facilities include Euro/Master Card, American Express and Visa Card. Additional fees may apply for certain facilities, amenities or activities.